1 - Feminists are unhappy. 2 - It does not make any money and many wonder if it ever will. One day an IPO will take place and remove millions of dollars from retail investors hoodwinked by a false prospectus. 3 - Twitter really does achieve very little apart from hot air and generates heat without light. 4 - Stopping twitter would free up time for people to do something more interesting than tweeting they are hungry or the roads are bit wet when it rains. 5 - Sports and other journalists would have to go back to work instead of filling papers with the often moronic tweets, maybe the quality of the journalism would improve! So there we go, ban it, simples! Where is a Labour Government when we need it! ﻿ For the first time since 2010, we are condemned to a dull summer, If you add the UK weather in then it is the first decent summer since 2007. The if your a sports fan and you add in the success of the various Tennis players, rugby teams and racing drivers then it must surely be one of the best summer's of the century thus far. But why did I say it was a dull summer - well, look at the FTSE over this year, one dip a month ago of about 8% but then a full recovery - nothing to see here. Well you may remember the dim and distant past and recall that the Eurozone was going to collapse and take us all with it. Everything was very grim. Then at the end of lat summer lots of noise was made about Euro Quantitative Easing and hey presto, all has been fine since. Fine for now one feels though. I am personally delighted to be able to go on holiday next week and for a change not have to worry if the life savings are going to be there when I get back. That is all rather too much stress to deal with on a daily basis. However, the story will return one day. Greece is not fixed, Italy and Portugal have to much debt, France is still sclerotic with a very poor socialist Government. Money, more more realistically, promises of loans are not the same a debt forgiveness and internal devaluations have still never been shown to work in a crisis. So let's enjoy things whilst they last, because it is a nice summer, but the future is farm ore cloudy. On a political front for the UK this is very bad news for the Government too. For now they are crowing about the reasonable fist they have made of turning the Country round from long recession, the challenge is will the Euro crisis can remained kicked far enough down the road to see out at 2015 election? 2 years really is a long time in politics. Welby really is interested in banking, isn't he ? As well as pontificating, and bidding for RBS branches (can the Coop be far behind ?) the archbishop is leading the CoE into the credit union business. He intends to "compete Wonga out of business": a very practical churchman indeed. People may snipe: but his instinct isn't wrong at all. At the political 'surgery' I assist with, when (as happens from time to time) a gaunt figure shambles in having not eaten in three days because their benefits have been discontinued after a conviction for benefit fraud, the principle institutions one can refer them to are the churches: the alternative is a self-referral to prison. It might once have been the workhouse, but not today: and civic society has to draw a line somewhere. Welby will doubtless encounter all manner of sniping and practical problems (he already has one awkward little local difficulty to fix). But the CoE still has a mighty asset base, and if he uses it cleverly (have a word with Prince Charles ...) he might actually do some real good. The Catholics, Mosques and temples - all of which have their own practical heritages - may not be far behind. No, no and no again to Consitutional Monarchy. A nice try Bill but I am not falling for it. My argument is not about money as I entirely agree with you that the cost/benefit of Monarchy vs some sort of Presidency will probably work out better for the Monarchy. My belief rests on the social impacts and thus, sadly, I am even for once of Mark Wadsworth's side even though I am a committed Home Owener. The biggest issue today in the UK is social mobility. Poor people struggle to get on and one of the key reasons behind this is the built into our social structure. The people at the top are born into wealth and power and literally cannot be removed. It's a terrible incentive for the people in the Country and creates and feeds the terrible obsession with class that blights our nation. The US simply does not have this. The Kardahsians are royalty today, for five minutes, the Clintons were too, it will be someone else next week. Also the kardashians are no marks, I think this is a good thing. They will be replaced, it is not some dynasty that will last 1000 years. Finally, we need a president to have some power, where the Queen has none the Prime Minister is too powerful, a President could have powers to block, legitimately, unjust legislation should it ever be attempted by future extreme Governments of any colour. Finally, to the comments, people say imagine President Blair! OK but imagine President Boris or even President Sugar. Surely more useful than someone who goes to the Races and opens the odd school. I would even vote one day for a President Prince George, why not, as long as we can vote and he has to campaign. Had a discussion elsewhere where someone was exploding about the costs and privilege of the royals. When I said I thought they cost around 52p a year to each person in the UK they replied that those costs exclude security at public events, their residencies, travel expenses or entertainment. Now, I'm not an expert on the royals. But it seems to me those expenses would surely exist with a Head of State. The new elected Head of State isn't going to live in social housing. They aren't going to host a commonwealth convention and dish out cheese straws and a penguin biscuit, washed down with own brand cola. They aren't traveling in their own hatchback with their own private security. They will be using exactly the same resources of the state as a royal would. 'But the castles and houses!' cried the other party. With some justification. Except, part of the money we all pay the royal family goes on the upkeep of historic buildings. We would have to pay for them anyway. Unless we sold them. Windsor castle sold to an oligarch billionaire? Any politician want to float that past the public? Even promising all the proceeds to charity and it would still be tough. So we pay for our historic buildings anyway. All that would be different would be you could pay to go in and have a look around. Then the counter was that the Royal Family don't generate any trade for Great Britain and that a president would create just as much tourism as a King. Now that was patently untrue. My opponent used the example of Barack Obama and Bill Clinton who people do flock to see and visit Washington to view. But they are exceptionally charismatic people in the premier nation of the entire world. And people do NOT book a holiday in the USA to see Obama. It was then pointed out to me that France has significantly higher numbers of tourists visiting than the UK and they have no Monarchy. I replied that Spain has even more visitors than France. They do have a Monarchy, but its irrelevant to tourism numbers. France has more tourists than the UK because it has borders with Belgium, Germany, Switzerland, Italy, Luxembourg and Spain. Its easy to drive or rail from any of those countries. The UK Eire. But only in Northern Ireland. France has a Channel, Atlantic, North sea and Mediterranean coast. Proper mountains for good skiing. Proper sunshine for beach holidays. Proper countryside for cycling, walking or relaxing and all the historic / religious monuments and craft industries any middle class family might want to inspect. The ultra tourist attraction for Europe, Disneyland is in France. So France has an edge. People aren't visiting to see the President. Spain is even busier with tourists than France. Want to guess why? Do we really think people are visiting the UK for the weather? The UK generates an unknown amount of tourist revenue from the monarchy. But if its in excess of £38million quid we are ahead. I cannot believe it could be less than £38m. It must be that in annual tea towel and mug & coaster sales alone. But what decided the argument, in my view, was this comment from an American reader. "Now I don't have a dog in this fight, but I thought I'd share a view. In the USA we have the Kardashians. They are what passes for monarchy in the US. Sure we have a President and first lady and they get press, but they don't generate excitement. Probably no more than when your Prime Minister visits a school. But if you say 'Kate' to anyone, and I mean anyone, male or female over here in California, they know who you mean. They know its Kate Middleton. If you say 'Boris' maybe 1/2 of people would know, especially if you said English Boris, because of the Olympics. David Cameron? Some would know. Not many. Ed Cledd? Herman Van wassisname? Not a soul would know or care who they were. Certainly wouldn't be planning a trip to see them. B} Brand recognition. For you guys Its generally positive coverage all the time. And if costs a few million dollars, it seems remarkably cheap. We have negative world coverage all day long and costs us a fortune." So, CU. Your republican stance is going to cost us money! Cost us prestige! Cost us trade! Its a standard capitalist argument vs a socialist one. Ditch the envy. So a couple of rich people get a pampered, slebby life. So what? Wayne Rooney is currently throwing his toys out of his pampered pram. Does it bother me? Not in the slightest. And not just because its his pram and his toys and I didn't pay a penny for them. But because him being rich and popular has no bearing on my own life. If he wasn't rich, wouldn't mean I would be. If we dumped the Queen, that wouldn't mean I'd have a shot at being President. I wouldn't. So as long as we all benefit, and can't do the same thing another way cheaper, what's the issue? Who would have thought this possible in this day and age? Of the writers here, CU is a staunch republican and so I have little interest. ND a good monarchist and BQ very keen on the Monarchy and anything else that will help him get his eventual set in the House of Lords. So a royal Baby in the UK is something, but in Spain or Japan it should be even more cause for celebration. One wonder from these stats, are there fewer births in Poland and Czech because huge chunks of the youngsters are now having their baby's in the UK instead? It must be the middle of the summer if the main story is about accountants and their practice of business. The Government is to force FTSE350 companies to tender for their audit every 5 years. This does not mean they are going to change auditor, but they must go through a process to at least allow other companies to bid. 1 - Most FD's will be keen to keep their auditors, who understand how the business works and are friendly to it. As such if they do tender their audit that will make it quite clear from the process that they are not really going to change, beyond sending out a letter welcoming bids. 2 - The main purpose is to break the strangle hold of the big 4 firms, but this reform won't manage that. FTSE350 firms are international in scope and this is why they like to have an international auditor. What will happen is the second tier firms like Grant Thornton and Baker Tilly, will be forced to spend a huge amount of time focusing on these bids which in reality they stand no chance of winning. The costs of these bids maybe quite high and so seriously undermine the profitability of these firms. Everywhere else you will read that this is a welcome market reform, it is nothing of the sort, just aligning the UK with likely EU regulation anyway and also not enforcing the real change, which would have been to force a change in auditor - which would have been good as it would stop firms being in bed with their auditors. Note for example that Barclays has been audited by PWC for 127 years! The water company United Utilities is in talks with shale gas explorer Cuadrilla over locations for fracking and is interested in letting the company explore on its land. Well of course. Instead of wittering on about potential groundwater contamination, United has spotted the fantastic potential for its primary product - and its wider portfolio of land and skills. Home run ! And exactly what we had in mind two years ago. Game on. And lo they came to pass. Today it is quango Water UK railing against potential shale gas fracking. Now of course the highly regulated utilities are not going to benefit from other companies making money, so they have no incentive not to complain about fracking. Indeed, they do have valid concerns about potential damage to the water table. It is true to say that much frackin in the US is done far away from population centres, major water pipes and infrastrcuture which is not the case in the South East of England. So of course, Caudrilla and their ilk will have to plan on different and more expensive ways of fracking to make sure their enviromental impact is limited to acceptable levels. Together with news for the Government giving tax breaks to Shale Gas companies, err, in line with what everyone in the industry gets (and lets face it it, in upstream industry the net tax rates is 63% last time I checked, so the breaks are always off-set in successful cases of extraction). It means that Shale exlporation and development is proceeding nicely. All good then, as we desperately need this supply of gas to help boost the economy and keep the lights on when we have months like now of NO WIND, which is not doing great things for the useless London array and other such greenwash projects. Ed Miliband has explicitly ruled out breaking Labour's historic links with the BBC, saying he wants to "mend not end" the relationship while giving individual watching people more of a role in choosing what’s on TV. After a week in which allegations of policy-rigging by Labour's largest backer, The BBC, Miliband says the millions of hard watching people viewing Strictly Come Dancing are the party's "biggest asset". Hinting that he is looking at ways to involve them more he said "What both people in the Labour party and the BBC understand is that far too few of the viewers are actively engaged in any sort of politics at all.. So we should mend the relationship, not end it." He also warns the likes of BBC's Chris Patten that he will not tolerate special favours: "Labour can only succeed as a living, breathing party that clearly stands for the national interest, not just a sectional sopping wet, bleeding heart, liberal interest." In recent weeks there have been allegations that BBC licence fee collectors have been signing up individuals who don’t even watch the BBC or in some cases don’t even have a television set – and making them pay a ‘subscription’ of £145 –often without their consent, in an attempt to install the BBC's favourite ideals and political outlook onto the safe sofas of the country’s homes. Senior party sources say there is evidence of similar practices in other areas such as the radio as BBC try to advance their agenda of a bigger public sector and more control over people's lives onto the airwaves of programs like You and Yours and Woman’s hour. The row has left Miliband open to charges from the Conservatives that the BBC enjoy excessive influence at all levels of his party in return for their backing and promotion. The BBC has contributed more than 8 million friendly comments about Labour since Miliband became leader and is by far the party's biggest supporter. There have been concerns that the BBC have spent much time trying to ensure their liberal social democratic policies are the ones that are adopted..
Miliband says he will reform Labour’s dependence on the state television's sympathies. Among measures expected this week is a code of conduct for anyone seeking to advance a left wing biased agenda on the public broadcaster and a cap on the number of times a Tory minister may be interrupted in a single sentence. 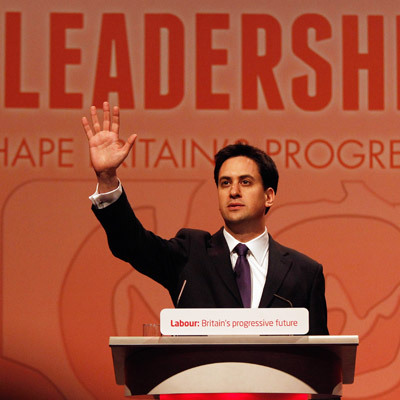 Senior figures in the party are urging Miliband to go further by endorsing changes in the way patronage from the BBC goes to endorse the Labour party through the use of interviewers nodding sagely at every shadow minister's utterance and implying that the financial crisis was a long time ago and nobody’s fault really. At present, members of BBC are affiliated to Labour through ‘the impartiality clause’ & so don’t have to declare their politics. Any newcomers to the BBC organisation are automatically enrolled onto left wing comedy shows or into anti-Tory news programs. BBC managers say this ‘opt-in’ makes sense as everyone at the BBC could reasonably be expected to be a Guardian reading, card carrying social-democrat or else they would never have got through the official selection procedure in the first place. And they say the only person who ever wanted to opt out of flag flying for the labour party was Jeremy Clarkson. However Prime Minister David Cameron accused the Labour leader of being in hock to “the monolithic, nanny state, broadcaster..”.. The Director-General of the British Broadcasting Corporation, Tony Hall, hit back saying that the BBC has 65 million members and represents everyone in Britain. Whether they want that representation or not..
“We have had historic links with the Labour party going back tens of years to when we didn’t like Thatcher and ran endless alternative comedian shows. And then we loved Tony Blair and the night of the champagne bottles and we willingly promoted Union Jack knickers for reason that are now unclear.. But, we have had our differences in the past.. And they have even taken down some of our director generals like during the Iraq war. 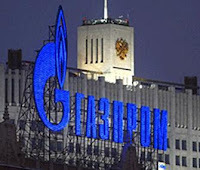 Russian gas giant Gazprom has set aside 119.7m rubles (£2.4m) to buy a specially-made tablet for chief executive Alexei Miller ...the gadget must be based on Apple's iOS operating system and boot up in no more than five seconds. It should feature 3G, GPRS and Wi-Fi, and be able to download data in less than 15 seconds. The tablet must also be secure in order to protect sensitive company data. 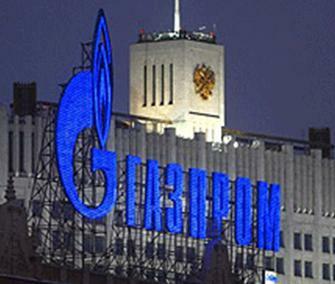 Mr Miller will use the bespoke tech to monitor Gazprom's day-to-day operations, including gas output and exports, to ensure “management decision making on raising Gazprom’s efficiency"
Yes, he needs something really, really special, and he's pleased that everyone should know about it.